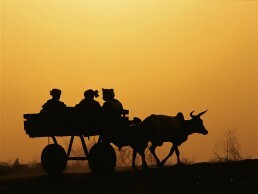 Return to the village, Mali. 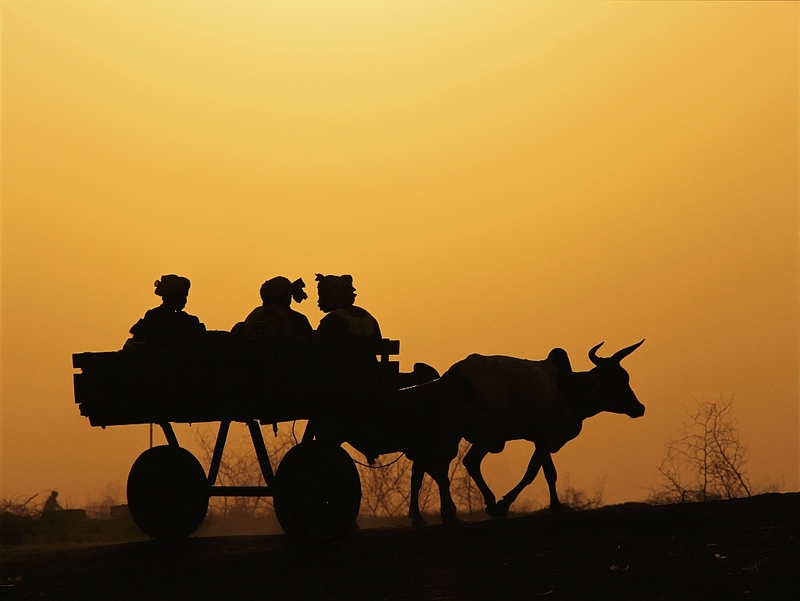 In this Malian village, as the farmers return from market, I always delight in the gathering dusk, when Nature falls silent in the setting sun, and the people quietly make their way home. I am overwhelmed by a mellow sense of participating in the cosmic order. There are about 5 thousand spoken languages in the world today. Every two weeks one of them disappears! That’s 25 every year. In a hundred years time, if we do nothing about it, we will have lost half our linguistic heritage, and probably even more, due to the accelerated power of our modern day means of communication. This phenomenon particularly affects the languages of Indonesia, Africa and New Guinea (more than half of the 860 languages of Papua New Guinea are threatened by annihilation, and half of the 600 Indonesian languages are facing extinction), but also other languages on our planet, threatened by American English. This is a true disaster that is continuing amid general indifference. A dying language means not only endangered texts. It is also the collapse of a large part of that culture. Along with that language, a certain way of understanding nature, perceiving the world and expressing that vision in words is lost. With it disappears poetry, a certain way of thinking and a certain kind of creativity. We are therefore faced with the problem of human intelligence being eroded. Claude Hagège – French linguist, born in 1936 to a Jewish family in Carthage, Tunisia, where he lived until graduating from high school and moving to Paris to study. He is a polyglot, who has mastered about 50 languages to varying degrees, including Italian, English, Arabic, Mandarin, Hebrew, Russian, Guarani, Hungarian, Navajo, Nocte, Punjabi, Persian, Malay, Hindi, Malagasy, Fula, Quechua, Tamil, Tetela, Turkish and Japanese. Awarded a gold medal by CNRS (the French National Centre for Scientific Research), he has been a professor at the Collège de France since 1982 (currently honorary assistant professor), and is the author of the very successful books “L’Enfant aux deux langues”, “Le Français et les siècles” and “Halte à la mort des langues” (the above quote coming from an interview published 2.11.2010 in “L’Express”).